Being awesome at shredding guitar, like everything else you want in life, is about developing the habits to achieve it. There’s simply no way around the need to have a solid plan if you want to be good at what you do. Ok, so the first step is figuring out what you want to learn in a given amount of time. 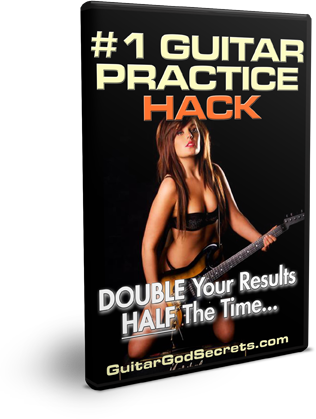 If you’re new to playing guitar, try spending at least an hour every day of the week to master the basics. Dedicate about 15-20 minutes for each area you’d like to work on, and then move on to the next. For instance, you could allot one block of time each for technique, playing a list of songs, studying music theory and basically just jamming for a bit. Don’t sweat it if you don’t finish everything as planned. You’ll become more efficient as you go along. Once you’ve gotten used to setting aside time to practice and going through the motions, you’ll be comfortable enough to work your way up to two hours or more a day. You might find yourself getting stuck in certain parts of a song because you can’t smoothly go from one chord to the next. That means you need to make your technique more seamless to improve your timing. Integrate warm-up exercises into your routine, specifically chord progressions and drills to improve your hand-eye coordination. You’ll need to get used to bending your fingers and press them down in certain ways to play those chords without thinking. Remember, warm-up exercises are meant to make your fingers to do what you want without having to look at them. Plus, you’ll gradually build up the strength in your hands and increase your precision. Aside from your hands, your ear is another part of your body that you need to train when practicing guitar. It can make the difference between being a good player and a great one. One of your goals should be to listen to a song, know what key it’s in and have a general idea of how to play it. That’s why you’ll also need to make listening exercises as part of your routine to improve your overall guitar skills. Studying the basic concepts of music is also a must because having a solid foundation is indispensible to learning. A good knowledge of music theory gives you a starting point to deviate and develop your own style. “Fun” should always be the operative word when it comes to playing the guitar. Focus on having fun learning a new trick and impressing your friends. Discipline is key, but that doesn’t mean you have to turn practice sessions into a chore. Give yourself some room to mess around a bit and stumble on something new along the way. That’s why you picked up your guitar in the first place, right? Like everything else in life, you should find pleasure in what you do; otherwise, there’s no point in doing it.